Make the most of the great sea birdwatching along the Pembrokeshire coast. There are ample walks along the beautiful Pembrokeshire coast. The perfect stopping point for a cycling trip around Wales. Roch Castle is only four miles away and well worth checking out. 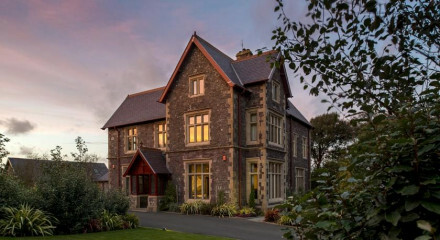 As Wales’ first contemporary art hotel, guests tell us that they adore the luxury of Twr y Felin, our warm Welsh welcome and impeccable customer service which we pride ourselves on, the art and of course the food we serve at Blas restaurant. Our aim is to give them the ultimate experience during their time in St Davids and to see guests returning again and again is so rewarding. We are lucky to be situated perfectly in the Pembrokeshire Coast National Park and only a short distance from the magnificent Preseli Hills. This allows guests the opportunity to explore the stretching North Pembrokeshire coastline and beautiful sandy beaches, as well as the heights of the Preseli Hills where the bluestones at Stonehenge came from. History and archaeology tours guided from Twr y Felin are a must do activity for our guests. We are also located next to Oriel y Parc, which is home to the National Museum Wales class A Gallery, where guests can enjoy changing exhibitions form the National Collection including acclaimed artist Graham Sutherland, who left a body of his artwork to his beloved Pembrokeshire. Just a short distance from Twr y Felin Hotel in the city of St Davids, is the Cathedral and the adjacent Bishops Palace. A boat trip to neighbouring Ramsey Island to explore the varied sea birds and seal population. These along with many other activities are arranged by Twr y Felin’s bespoke concierge service. If guests are looking for something a little more adventurous, we offer sea based activities with a difference, such as coasteering, kayaking and surfing. From autumn, 2017, we will be offering tailor made activities such as seal watching, wildlife tours, dark sky events, foraging tours, wellness retreats and even a visit to the nearby Bug Farm. Twr y Felin’s Restaurant ‘Blas’, meaning ‘Taste’ in Welsh has recently been awarded 2 Rosettes and a Breakfast award by The AA. A favourite amongst our guests is our full cooked Welsh breakfast that comes with locally sourced Laverbread which can alternatively be served on Wholemeal Toast with Bacon and Cockles. Other tempting alternatives are Eggs Benedict, Royal or Florentine, Smoked Salmon and Scrambled Egg, Poached Free Range Hens Eggs on Homemade Potato Cakes with Laverbread, plus Pancakes with Bacon and Maple Syrup, or Fresh Berries and Clotted Cream. In addition to this array of choices, continental breakfast including Fresh Fruit and Berries Salad, Porridge with Local Goodwood Honey, Cereals, and a selection of Pastries. At our two AA Rosette restaurant ‘Blas’, meaning ‘Taste’ in Welsh, we offer brunch, lunch, a la carte fine dining dinner and afternoon tea. We also offer a selection of carefully curated old world wines to accompany our menu, influenced by the season and locality, with dishes designed to reflect Wales and its produce. A range of specially crafted cocktails are served in the elegant Cornel Bar. Our best and room in house and the most popular is Tyddewi Suite which occupies three floors of luxury in the original Tower which was built as a Windmill in 1806. 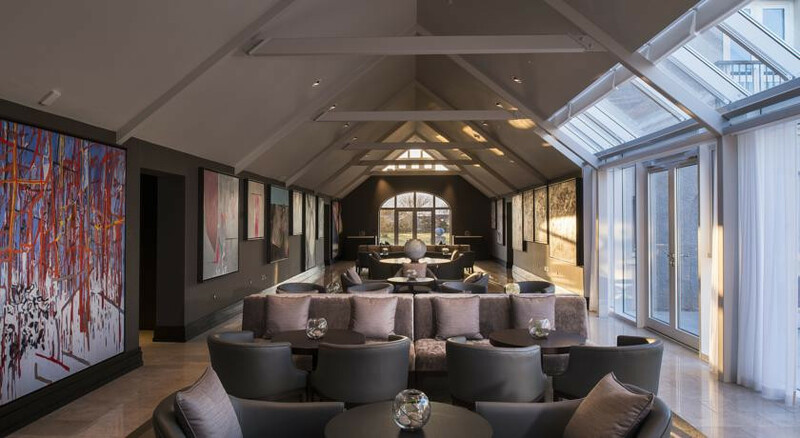 Its elevated position overlooks the whole of the St Davids Peninsula with 360 degree views out to St Brides Bay from it lounge which leads to the Observatory at the very top of the hotel. Other popular rooms are located in the Oriel Wing where the larger pieces of original art are displayed. Rooms on the ground floor with terraces and views towards to coastline make these spacious, a popular choice. For total peace and tranquillity, our guests book or Porth Lysgi Junior Suite which is on the first floor in the Oriel Wing with elevated coastal views from a Juliet balcony. 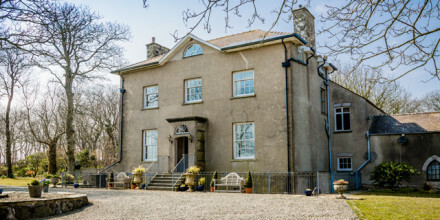 "Twr y Felin has had seven million pounds lavished on it to turn it into ‘Wales’ first contemporary art hotel’, filled with the private collection of the owner, mainly by street and graffiti artists." This elegant and extraordinary hotel boasts a two floored circular windmill suite- perfect for a honeymoon to remember.